Quick Thoughts on COMMUNITY: "Horror Fiction in Seven Spooky Steps"
Maybe I'm starting to come around on Halloween episodes because Happy Endings and Community were really good this week. Now, "Horror Fiction in Seven Steps" had its flaws and was not as good as "Epidemiology", but it was one of the season's better episodes. I'm going to get the negative out of the way right off the bat. While "Horror Fiction" was fun to watch, it felt like every other episode of Community ever written, and it didn't feel fresh or profound. We got yet another version of the "study group shares how they feel about one another through wacky gimmicks" plot that has become this show's go to move. I respect the fact that Community tries new things, but when it does so to tell the exact same story over and over again, you have to wonder if it's accomplishing anything. The structure of the episode, telling seven different stories from every characters point of view, also felt recycled but it was also the biggest strength. I'm always a fan of episodes that have multiple perspectives, which is why I really liked "Remedial Chaos Theory", so I was hooked from the get go. Every vignette had its share of funny moments, and I appreciated how they truly represented the storyteller which was an added bonus because they contained genuine character development. It would've been easy for the writers to only rely on the gimmick, but they're always good at adding more layers. I like that. Out of the seven stories, only two didn't quite hit the mark for me. Obviously, Jeff's wasn't supposed to be strong since it was coming from the group cynic, but it felt like a wasted opportunity. Also, Shirley's take on the Rapture had some good gags, but it also felt like Shirley was going out of her way to be offensive (Dean Pelton as the Devil, bashing of Liberals). Granted, that's her character, but you'd think she would have some growth by now. I don't want people to think that I didn't like "Horror Fiction" because I did. 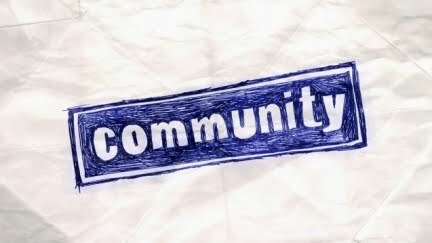 I just want Community give us new ideas instead of re-gifting old ones in new wrapping paper.